This statistic displays dietary restrictions which influence the type of food that individuals eat in the United Kingdom in 2016. 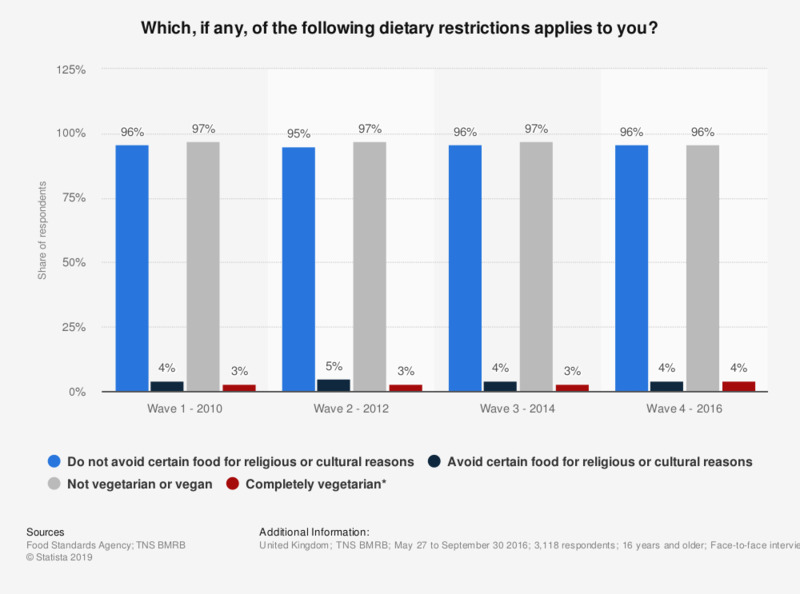 During this period, 96 percent of respondents said they do not avoid any foods due to religious or cultural reasons, whereas four percent do. * Results are not directly comparable with previous waves due to the change and improvement of questions asked.